.. al menos, uno de estos criterios. .. "CNC" encontrado (+), "Control" pero no (-). .. resultado encontrado, con "CNC" Empezar (por ej. CNC-Curso - pero también CNC). .. ambos términos están relacionados (por ej. "CNC Control de la oferta", pero no "CNC Máquinas con control"). IndustryArena.com is a platform with the aim to connect members, industry experts and users via the forums, research databases and other offers according to discipline. 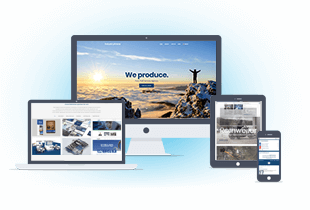 IndustryArena GmbH is the provider, hereinafter also referred to as “we” or “us”. An appreciative manner, competence, mutual respect and the network structures are significant contributors. As is the case for any portal, IndustryArena also has special Rules. Therefore, members registering with us have to confirm that they will comply with these Rules. Being and remaining a part of a community requires mutual consideration and acceptance, amongst others. Therefore, infringements can lead to the membership being changed to a moderated status or – in the case of repeated infringements – being temporarily or permanently terminated. Since January 2013, we have been cooperating with the US-Portal CNCZone.com, which is operated by IndustryArena LLC, Chicago, USA. With that, members of IndustryArena currently have the option to contact approx. 500,000 members worldwide around the clock. Both portals together offer you the most powerful and fastest basis for any conceivable topic from production technology. Please note that the German Network Enforcement Act (Netzwerkdurchsetzungsgesetz) of 1 September 2017 does not apply to the specialist platforms IndustryArena.com and CNCZone.com. These Rules shall apply to the IndustryArena forum, the IndustryArena blogs, the internal private messaging system of the portal (PM system) as well as to other publications and communications or those made via our portal. If the functionalities of IndustryArena.com are extended, the Rules shall also apply to such extension. Similarly, the IndustryArena Rules also apply for the portal CNCzone.com. 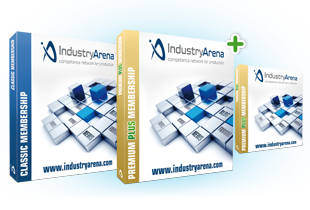 First, we would like to draw your attention to the difference between a corporate membership with IndustryArena (“corporate membership”) and the membership with the portal IndustryArena.com (“personal membership”). These Rules exclusively apply to the personal membership. A “personal member” within the meaning of these Rules is only the person who has registered as a member with the portal IndustryArena.com in accordance with this lit. 3. A corporate membership cannot replace a personal membership. The portal IndustryArena.com can only be used to the full extent with a “personal membership”. 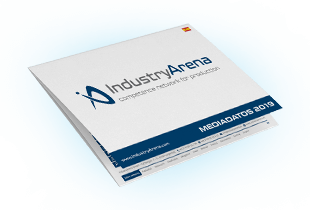 Please find information on the corporate membership with IndustryArena here. There is no legal claim for a personal membership. A registration is the requirement for a personal membership. By doing so, we would like to prevent identity misuse and “fake profiles” as far as possible, in the interest of our members, partners and a fruitful discussion. Details of the registration process are regulated in the privacy statement. The personal membership is free of charge. The default setting in the personal account is “private”. This means that with the exception of the member name, information from the personal profile only become visible for other members if the member actively changes the profile information in the personal account to “public”. In this respect, see also the privacy statement under 5.9. It is not mandatory to choose a plain text name for the member/user/nick name. However, it has to be observed that this name must not contain copyright-protected and/or well-known trademark/ company/ product names or denominations in whole or in part. This is solely reserved for exclusively authorized company members who would like to represent the company with their account. In order to avoid misunderstandings, these members are kindly requested to contact the provider of the portal in the course of the registration. Besides that, the netiquette shall apply (lit. 6). Only one membership account is possible for each personal member. The creation of double, fake or multiple accounts constitutes a violation of these Rules, which can be punished accordingly (see lit. 4 and 10). As soon as we become aware of double, fake or multiple accounts, we will immediately delete these. Membership accounts without any activity over a time period of twelve months (inactive membership accounts) may be deactivated. A reactivation of the user account is possible, but requires that you send us a reactivation request. You have the option to personalize your profile by using signatures and avatars in compliance with lit. 3.1. Commercial references and links to third party commercial sites are prohibited, and the same applies to references to websites competing with us. Upon reversion, this means that references to merely private sites are admissible as long as their content does not violate applicable law or accepted principles of morality. You must refrain from incorporating graphics in the signatures at all times. We expressly request system providers / producers to clearly identify themselves via the signature and not to act in our forums using anonymous user accounts. The membership is for an indefinite duration. It may be terminated by either party with a notice period of two weeks. The termination shall be made per ticket system addressed to us. You will receive a termination confirmation via the ticket system. Moreover, both parties reserve the right to a termination for good cause without notice. There is such a good cause for the provider in particular if a member repeatedly or seriously violates these Rules. As soon as the termination takes effect, access to the forum will be blocked and the data stored in the membership account will be deleted, unless storage is required for our legitimate interest or if a deletion would be contrary to statutory storage obligations. Besides that, the regulations for granting rights of use and publication rights apply (lit. 9). Your data are subject to our special protection. We will only process personal data to the extent you have given us your express consent in this regard or as far as we are authorized on the basis of a statutory authorization. Please find detailed information on data protection in our privacy statement. Members must not leave their access data to third parties for use and are obliged to keep them secret and to protect them for unauthorized access by third parties. In the course of the cooperation with CNCZone.com mentioned at the start, particular personal data will be transferred to our partner portal. By doing so, we ensure as far as technically possible that the user/nickname you chose as well as the email address you indicated only exist once on both portals and can only be used by you personally. This is in particular in order to protect from misuse in the interest of our members and partners. We will not at any time transfer your personal data to third parties not mentioned in the privacy statement or make them accessible in any other form, be it for consideration or free of charge. You will exclusively receive specialist information and advertisement of IndustryArena.com on the basis of your express consent in accordance with the privacy statement. Postings shall be made in a polite and matter-of-fact tone. Due to our image, we do not tolerate the use of vulgar, abusive, discriminating, sexist, racist or hate-filled or other criminal speech or respective image material. It is also a part of respectful interaction to refrain from “provocative” or factually false postings (“flame” or “fake” news). Discussions with exclusively religious, political and sexual intentions are prohibited. This applies to all public and non-public areas of this platform including signatures, avatars and member names. As a matter of principle, objective criticism is admissible unless it contains disruptive contents. Excessive criticism, on the other hand, which merely serves to degrade the person affected (“abusive criticism”) or is defamatory or unlawful in any other manner, is prohibited. Our forums are not a platform for campaigns that serve to cause damage to individual members or companies. Due to the multitude of our forums and postings, it is important to be found quickly. We would therefore really appreciate it if you could respect our content structure when you use the forums and place your concerns appropriate to the topics. Against this background, please kindly refrain from double/multiple postings with the same content in different forum categories. We will delete these analogously to non-admissible postings or advertising. Please do not discuss concerns in our forum in connection with particular processes that should rather be discussed in direct and non-public contact with companies. In this respect, we are thinking of pending court / arbitration proceedings, for example, but not exclusively. Forums that are managed directly by companies have the aim to discuss customer questions in relation to the direct product/service portfolio. Commercial auctions, sales and other activities are not permitted in our forums. Please only use our offers that are subject to a fee. It is an essential part of how we see ourselves and therefore prohibited to use our platform in order to guide members to other platforms competing with us. We welcome every member and all references to internal and external information that serve to promote the useful and objective exchange of experience in our network. However, in order to safeguard our interests and the interests of our members, we avoid harmful and merely commercial intentions as far as possible. Therefore, product names, websites and service providers may only be mentioned in postings if this is not done for commercial purposes, including advertising. Postings solely containing commercial or promotional content will be deleted as soon as they come to our knowledge. There are respective areas available for commercial or promotional postings and information. Please find more information in this regard here. Besides that, we refer to the disclaimer. As a matter of principle, links to external websites are admissible as long as these conform to the provisions of our Rules and are accessible for guests without third party registrations (free of charge/fee-based) being necessary. We reserve the right to change our offer at any time without indicating any reasons, in particular to moderate the forum or particular parts of the forum, i.e. to check the publication of postings in advance for compliance with these Rules. Likewise, we reserve the right, as a matter of principle, to discontinue the forum at any time temporarily or permanently. The contents and works produced by us, our members, customers or partners, in particular the page layout produced exclusively for IndustryArena.com, are subject to German copyright law. Contents and works of which IndustryArena GmbH is the originator must not be copied or used and exploited in any other way for own or third party purposes beyond the limits of copyright law. In the event of copyright infringements, we shall unfortunately feel compelled to take legal action. The copying, processing, distribution and any kind of use beyond the limits of copyright law require the written consent of the respective author or originator. Downloads and copies of this site are only permitted for private use, not commercial use. To the extent that the contents on this site were not produced by the provider, the copyrights of third parties shall be observed. If you become aware of a copyright infringement nonetheless, we kindly ask you to inform us accordingly. As soon as we become aware of legal infringements, we will immediately remove such contents. As a matter of principle, it is not allowed to distribute or make available copyright-protected contents of whatever form (such as videos, pictures, software, manuals, programs, post-processors, texts etc. pp.) in whole or in part in public and non-public areas on our platform for which you cannot prove the express, written consent of the owner of such rights. It is acceptable to link to copyright-protected contents in compliance with copyright law and other provisions of our Rules. It is also acceptable to publish extracts from texts within postings, for example, provided that these are expressly included with reference to the actual originator and that besides that, copyright is observed. However, file attachments containing copyright-protected contents are prohibited as a matter of principle. In this context, we always assume that third party contents are marked as such. Unlawful contents are not admissible at any time and in whatever form and will be deleted as soon as we become aware of them. Every member shall grant to the forum operator a right of use and publication right to the posting made, unlimited with regard to time, content and location. This granting of rights shall apply to all types of use known today and in the future, however, mainly for the internet portal and all media in connection with such portal. Members shall make their postings in a public area and shall not have a claim for later deletion of these postings (e.g. after leaving the forum or after the write permission is withdrawn due to a violation of these Rules). to block access to the platform in part or as a whole. These measures come into consideration in particular in the case of repeated or serious violations – not least in order to protect the remaining forum members and our business partners. There is no claim for an advance warning or announcement of such a measure. The right to an extraordinary termination of the membership for good cause without notice pursuant to lit. 4 shall remain unaffected in this respect. Claims for damages of a member are excluded. This also applies to indirect consequential damage such as, in particular, lost profit. This excludes damage claims of a member from an injury to life, the body, health or from the violation of an obligation the fulfillment of which renders the proper performance of the contract possible and on compliance with which the partner regularly trusts and may regularly trust (cardinal obligation), as well as liability for other damage that are due to an intentional or grossly negligent violation of a duty on our part. In the case of a violation of cardinal obligations, our liability shall be limited to the typical, foreseeable damage if such damage was caused slightly negligently, unless this concerns damage claims of a member from an injury to life, the body or health. The aforementioned limitations of liability shall also apply for the benefit of our legal representatives and vicarious agents, if claims are brought directly against them. The provisions of product liability law shall remain unaffected. Members shall release us from claims brought against us from third parties for infringements of rights, in particular copyright, as a result of postings or links. These Rules are effective as of April 2018. We reserve the right to change these Rules for the future, for instance in order to be able to take into consideration a change of our offer or of the legal situation. As the case may be, changes will be shown after a log-in. Access to the portal is only possible if the changed rules have been accepted. The right to end the membership by termination pursuant to lit. 4 shall remain unaffected in this regard. Contrary terms and conditions of a member or conditions deviating from these Rules shall not apply. If individual services are evidently provided by our cooperation partners or advertising customers, their general terms and conditions shall prevail. Unless there are mandatory statutory provisions to the contrary, these Rules shall be governed by German law. The United Nations Convention on Contracts for the International Sale of Goods (CISG) shall be excluded. Vis-à-vis entrepreneurs, the place of jurisdiction shall be the registered seat of IndustryArena GmbH (40764 Langenfeld, Germany).